Organic food companies new to Idaho could provide future opportunities for Idaho organic growers, but growers might have to adapt to meet the companies needs. 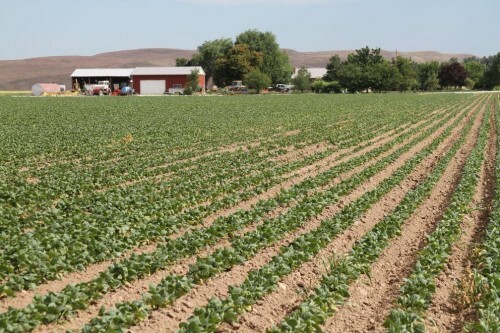 Twin Falls, Idaho — Two large organic food companies are settling into southern Idaho, bringing with them future opportunities for Idaho growers. But farmers might need to pool their production or build processing facilities to take advantage of those opportunities, company officials say. Company representatives from Clif Bar, which is setting up bakery operations in Twin Falls, and Amy’s Kitchen, which purchased processing facilities in Pocatello, were in Idaho last week to tell producers at an organic farming conference about their needs. Clif Bar, based in Emeryville, Calif., produces energy bars using 117 organic ingredients for 74 percent of its production, with a goal of being 80 percent organic by 2020, said Dale Ducommun, Clif Bar’s bakery general manager. The company used 97 million pounds of organic ingredients in 2014, he said. “Our goal is to support organic as much as we can,” he said. Clif Bar needs more organic supplies and is looking for more suppliers to meet its growing needs. But the company’s ingredients aren’t purchased directly from growers and typically go through a processing step before being purchased by Clif Bar, he said. What would be needed to source ingredients from local growers for the Twin Falls bakery operation is some sort of milling operation where local organic growers could process their grain, he said. “As a company, we’re talking about how we do that and buy locally,” he said. The company will try to facilitate an effort to organize growers and processors, he said. Amy’s Kitchen, based in Petaluma, Calif., is different when it comes to procuring ingredients. The vegetarian-food company maintains direct, long-term relationships with its supplying farmers, said John Paneno, the company’s director of sourcing. Amy’s uses 88 million pounds of organic ingredients annually, relying heavily on vegetables, and supports more than 25,000 acres of organic farmland. Two-thirds of its ingredients come from California and Oregon, and 98 percent of its produce is certified organic, he said. The company is growing 15 percent to 20 percent a year, calling for an additional 1,300 acres annually, he said. Read the full story via Organic agriculture has room to grow in Idaho – Capital Press.